Check out some photos from the New Year celebrations at the London Eye. They all look quite similar and shaky but bear with me, those photos were all I could manage in the dark and the pushy/shovy crowd. Happy New Year - Glad to know that you are venturing out....!! Scars : HAppy new year to you too, mate. What have you been doing the last few months and what did you do for new year's eve? Diva :Oh yeah, I had a load of fun. It was a nightmare trying to walk through the crowd though. Still have a backache...LOL, proof that 2 months of a sedentary life style in the UK has kicked my fitness in the backside royally. What did you do for new year's eve? Kavita :Intended what? Being at the fireworks places on new year's eves? Oh, we planned all those trips in advance. Probably the best one was the one in Mumbai and the first one at Baga Beach. What did you do for new year's eve? Khushi :Thanks a lot for the wishes. I wish you a great year ahead too. Why dont you tell us what kept you away from your blog so long. what did you do for new year's eve? Keshi :Happy new year to you too ! what did you do for new year's eve? Bendtherulz :I am venturing out, yes. Its fun to see new places. I have visited a lot of places on my 3 trips to London. Will be posting about all those soon. what did you do for new year's eve? If you can see guys, I have copy-pasted (in my lingo, control-seaweed) the line "what did you do for new year's eve?" for everyone. All of you are supposed to answer that. Ok you asked for it - Righto buddy ! C'mas break did hiking/trek & camping to Paandav kholi/Binsar near Ranikhet so we had this majestic views of snow clad Trishul/Nanda Ghunti/Nanda Devi/Panchachuli in front of us. Then I landed back in city to repack my back pack for my next journey to Rajasthan for some sun soaked vacation.So my New Year was spent in Udaipur just walking the old "galiyan". Today is my first day in City and I am planning my next trip....lol...!! So - that's it !! 31st Dec 2004 : Hyderabad, 3 friends and a 7 up bottle. 31st Dec 2005 : Bangalore, alone, a vodka bottle. 31st Dec 2006 : Hyderabad, 3 friends (+ 4 strangers) and not even water to drink. Plus people went crazy destroying everything in sight, police had to intervene...good fun this new yr party. wow!! !...thnx for posting such beautiful pics for us to c...u did a marvelous job! !...they'r beautiful...and wish u an incredibly Happy New Year!!! A Wonderful New Year Guns! Have a gr8 time this year! lol! no i dint mean THAT! anyways... yeah, my new year... don't ask! Happy New Year GUNZ !! hey Happy new years to u too...how was new years? Bendz :OMG !! What did you do this year? Did you win a lottery or something? Man !! I wish I could get as many holidays and as good company. I'd be roaming the world like you do,,, Whats next on the cards? Shradha :Who were these 4 strangers? [:-P] Did any of those sneak past the 'stranger' status? Oh, and why were people destroying everything in sight in a party? MAJORO WEIRD !!! Happy New Year though ! Dreamy eyed gal :LOL, those superlatives baffle me. He he...people have taken much better photos of the fireworks there but hey...all in a day's play ! What did YOU do for new years? HP :Thanks a ton. HNY to you too. 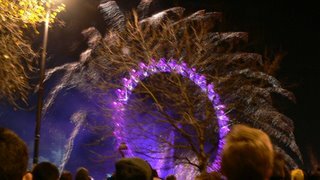 What were you doing when the clock struck in the new year? Di & Cuckoo :TELL ME what you guys did on new years. C'mmon out with it...even if they are the dirtiest of secrets, I wanna hear them. LOL. Tia : Too bad your new year plans fizzed out. I've come to hate these kind of friends who always bail out at the last minute. I've gono solo a lot of times now - to movies, on trips, to offices etc. Sometimes, it helps to do things with a zero dependency on someone else. The rest of the pictures are not accessible. It says the server is down. Happy New Year mate ! May the new year spin you to greater victories ! Happy New year to you too. Hope you are having a great time in the Queen's empire. LOL...yeah it seems like that isn't it...no lottery though. It was vacation or quit time....! Alex :Psychedelic, yeah it does. The camera shook up a bit in the jostling but I guess it shook for the better ! What did you do that night? Kavi :Dhanyawaad mahoday. Meri bhi aap ke prati yehi kaamna hai. Jedi :GREAT toh nahi bol sakte magar haan, interesting aur boring ke beech mein jhool rahi hai zindagi. Aap bataayen, aap kii kya stithi hai? Bend it like ... Hey...dont make me jealous !! BTW, what is your job? I fail to understand how you get those many days off. I wanna do that sorta job too. Bendtherulz :Hey !! If I do your job as well as mine, how is it SWAPPING???? I am really liking the whole idea..let me know if you are still keen to send yr resume' !! Just kidding. Wassup these days....have you been to Tate /Tussad so far or other stuff....look forward to see more pics or updates. Bender :Oh no no no ! Now that you've told me what your intentions are, I will NEVER ever send you my resume ! He he ha ha ho ho, you thought you conned me into sending it to you, didn't you? I'm not THAT foolish !! Been to tussauds - twice. Also visited almost all the tourist attractions in London (complete with lots of photos). Just missed the Greenwich observatory by a whisker. Whow...all London spots already done....so where are pics...??? Ahan...vey smart...btw - you never asked my name...lol. Renu :Aah..what a relief. Thanks for the introduction. hmmm whats the connection between your stay and putting up photos ????? Are you inviting us for house warming as well as photo viewing?? Off for trek this long weekend so see you next week. Bendtherulz :Simple connection. I dont have internet connection at the place I am currently staying. So I cannot blog actively. I can though check comments and other blogs when I get a little free time in office. Another trek huh? Good luck !